Single Player, Xbox Live Multiplayer 1-2, HD (High Definition). 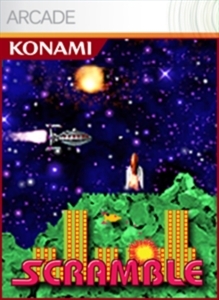 Take on 6 levels of enemy defenses and destroy the base to save the world in this arcade classic. Buy the full version to gain access to all levels, Versus and Co-op multiplayer modes, a range of challenging achievements and the ability to see how your high score and wins rank against other players! There are no refunds for this item. For more information, see www.xbox.com/live/accounts. Single Player, Xbox Live Multiplayer 1-2, HD (High Definition). Challenge the defenses and destroy the enemy base in this arcade classic. Try it today!